Volunteer Bob DeShazo plays the guitar during a meal sponsored by the Irish American Club last St. Patrick’s Day. Bob DeShazo is a regular volunteer at Ministry with Community. Bob loves to serve meals and often plays the guitar for our members during lunchtime. 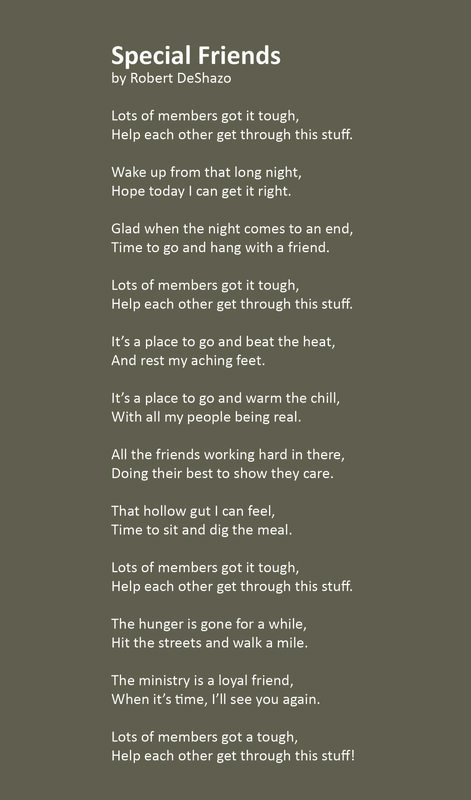 Recently, Bob wrote a song about our members called Special Friends, and we are happy to share the audio and lyrics below. Thank you, Bob, for knowing our members and serving them with so much kindness.